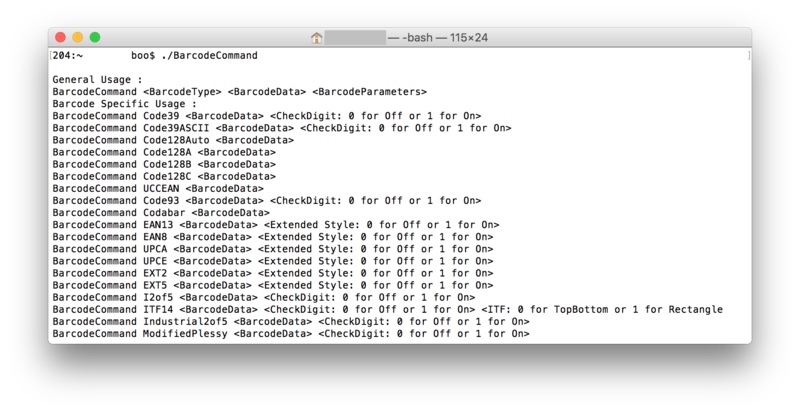 ConnectCode Barcode Command is a command line application/utility for Mac OS X/macOS that generates industry adherence barcodes. Information such as like the type of barcode, data, and check digit are specified as input parameters to the command line application. By using the output string of the Barcode Command application with Open Type Barcode Fonts (provided in ConnectCode Barcode Software), high quality barcodes can be created easily. It is important to note that when a barcode (which is created using a font) is printed, it rasters to the resolution of the printer and will not be limited to the DPI (Dots per Inch) of an image. This allows resolution-independent barcodes that meet the strictest industry requirements to be created and printed. The “command line” nature of the Barcode Command application allows it to be easily integrated into existing workflow processes. For example, shell scripts (Bash scripts or Apple Scripts etc.) can make use of the command line application to generate barcodes for a large number of product items quickly and easily. The software requires the Open Type Barcode Fonts bundled in ConnectCode Barcode Software for Mac (available in the Mac App Store) to generate barcodes. Note : Barcode Command can only be used under the terms and conditions of ConnectCode Barcode Software. Barcode Command can be installed easily by simply unzipping the downloaded package. This command line application can then be launched from the Mac OS Terminal application, as shown below, by entering the command “./BarcodeCommand”. 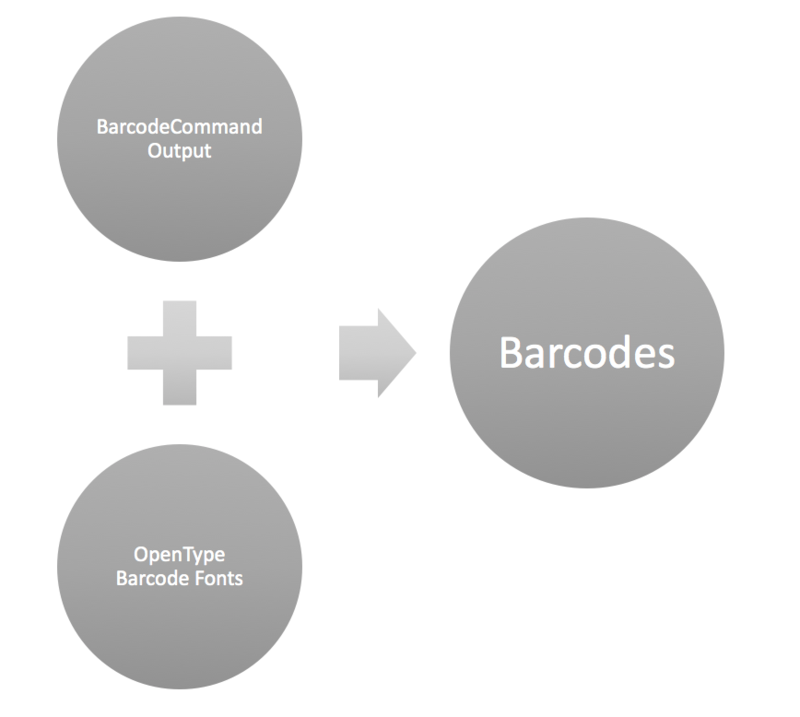 The following steps provide an overview of using Barcode Command with the Open Type barcode fonts for creating a barcode. Enter the following command in Mac OS Terminal. The output “*12345678-*” returned by Barcode Command is redirected to a file. Open the “barcodefile.txt” file using TextEdit. Select and highlight the data (“*12345678-*”) in the file. Go to the menu Format->Fonts->Show Fonts. Set the font family to “CCode39_S3” and the font size to “24”. A Code 39 barcode that adheres to industry specifications is created. For details on the parameters, see the ConnectCode Barcode Command Manual (PDF). Note : You will need to install a registered copy of ConnectCode Barcode Software and setup the barcode fonts on your Mac before you can use the "CCode39_S3" font as described above.